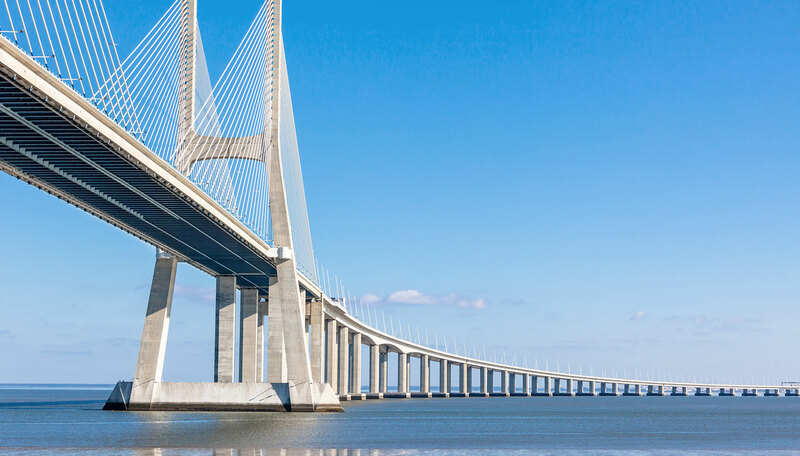 The Vasco da Gama bridge south viaduct (year of construction 1998) was repaired. 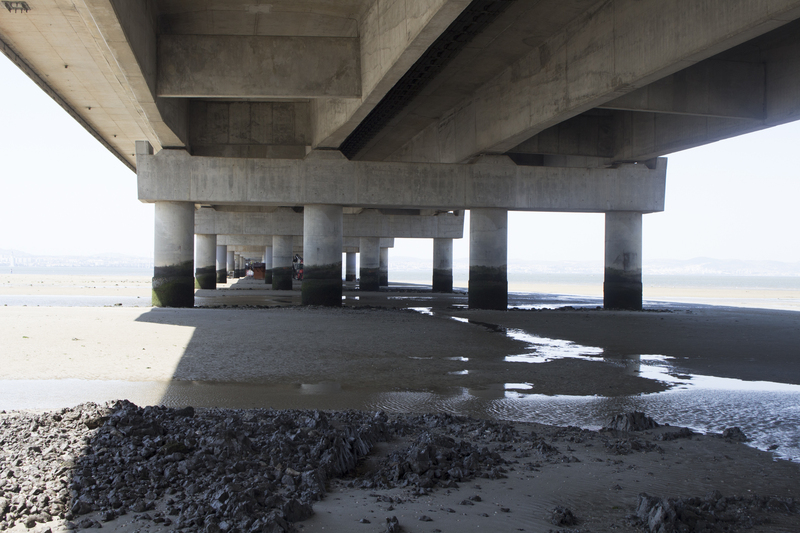 This viaduct deck is 3 825 metres long and composed by 45 metre spans over 85 support alignments of 4 columns each, founded on bored piles located partly in the Tagus river bank and partly offshore. The onshore columns land on the Samouco salt pan. 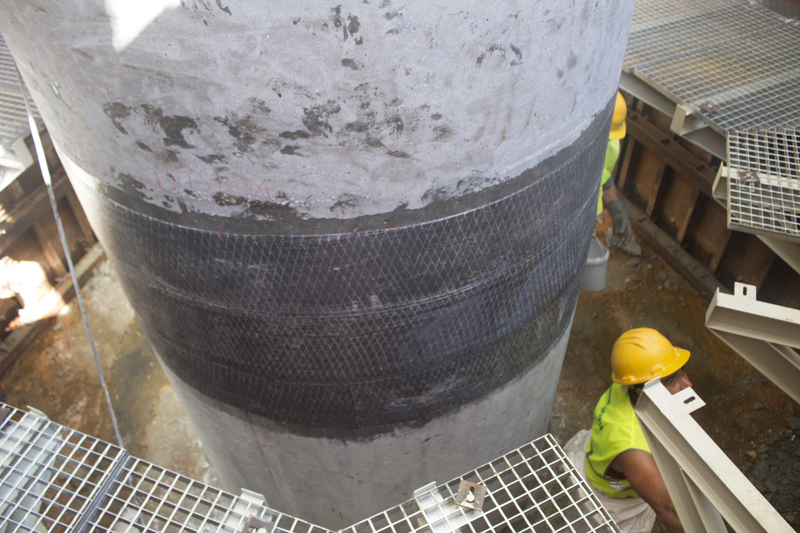 Some column pathologies have been detected and are in the root of the presented works. Concrete local delamination, cracking, the existence of voids, grooves and unevenness on concrete cover are examples of pathologies found. Many of these occur in the pile/column transition. Local concrete delamination, cracking, the existence of voids, grooves and unevenness on the concrete cover are examples of pathologies found. Many of these occur in the pile/column transition. 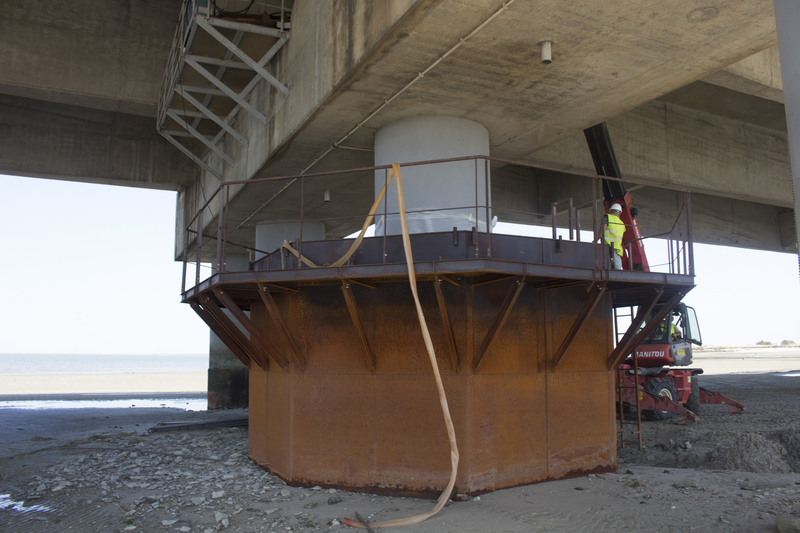 42 columns were retrofitted, 32 of which with 2.00 m and 10 with 1.80 m of diameter with two layers of C-Sheet 240 (400 g/m2) 30 cm wide, 20 cm spaced, and using the S&P impregnation equipment for wet lay-up .